Are you worried how much does a towing cost? With the busy roadways in Sydney, it is wise for car owners to be prepared in case of a roadside emergency. Cars break down, and in the worst of times – crowded roadway, late at night, while you are on your way somewhere, and on deserted roads. When a roadside emergency occurs, do you jump out of the car and start pushing the car down the road? No. That is a mistake that could be fatal. Tow truck technicians, such as Southside Towing Sydney, are highly trained and experienced with the proper equipment for the work they perform. They are also trained in auto mechanics and safety procedures to ensure that they can adequately secure the scene of any roadside emergency. There are many things to know about towing in Sydney. Firstly, there are two types of services. Emergency towing and non-emergency towing. Different situations can require emergency towing. For instance, when a motorist is involved in an auto accident that has left the car damaged and inoperable. There are also times when cars break down on the side of the road, and emergency towing Sydney is necessary to remove the car and driver from the roadside. Non-emergency towing includes transporting vehicles and machinery to new locations, etc. 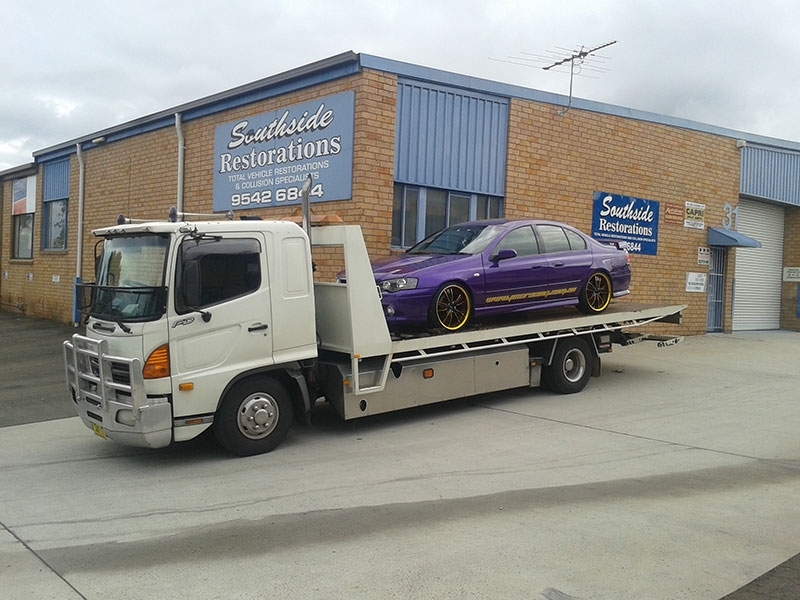 Companies such as Southside Towing offer both emergencies as well as non-emergency towing services in Sydney. How Much Does A Towing Cost In Sydney? In Sydney with busy traffic, you always wonder how much does a towing cost in Sydney? Southside towing is know for reliability and cheap cost effective towing company. A towing service depends from and where to. The time of towing plays an important part, with Sydney experiencing immense traffic it is always important to consider the towing time. Its important if not emergency to avoid peak times and book the towing services during off-peak times. The towing cost roughly from $65 to even $4k depending on the distance. Towing requires a highly trained and experienced technician that is certified. No car owner should do business with a company whose technicians are not trained, certified, and experienced. The fleet of vehicles the company operates is also important as trucks should be up to date, equipped with the proper equipment, and well maintained. Car breakdowns happen and, as mentioned earlier in the article, typically at the most inconvenient times. The quick response of a towing company can make a big difference, providing a safe outcome to an otherwise dangerous situation. Having a towing company that you can trust to call in the situation of a roadside emergency quickly can be a lifesaver. When researching towing companies in Sydney, you may also find that many offer a roadside assistance plan, which allows you to rely on the provider for roadside emergency services until the plan expires. Knowing that you can rely on a reputable towing service such as Southside Towing Sydney in the event of a roadside emergency will give you peace of mind. Only Towing Companies Sydney that has solid experience & expertise should be considered for emergency & non-emergency towing. After all, you can’t trust just about anyone with your car! They need to be experts.